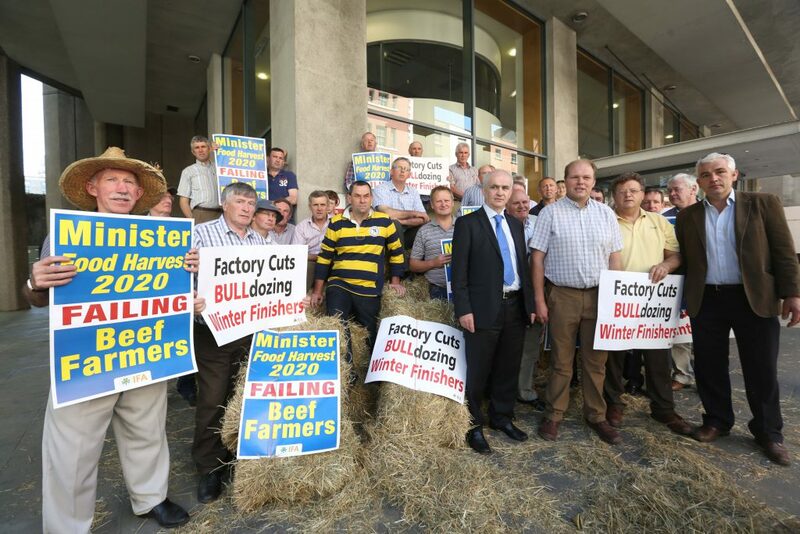 If the best the IFA can do to help beef farmers is to stage a ‘surprise’ protest of 50 or so farmers on the door of the Minister for Agriculture, Food and the Marine, then it should hand back its membership fee to farmers. The IFA protest today, was stated a day before the organisation will dance around the issue of beef prices with the processors at the Teagasc Grange Open Day. 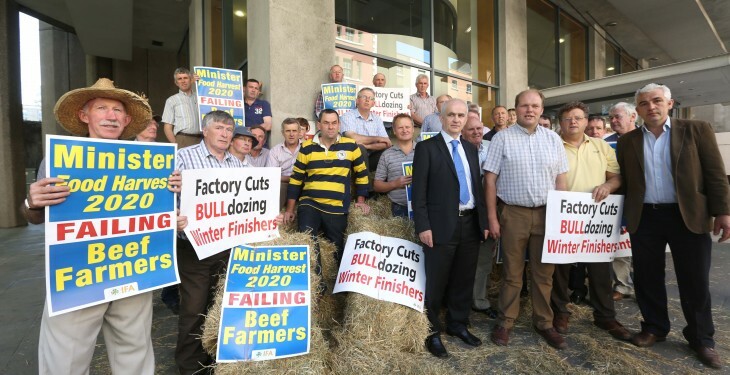 No doubt the organisation will tout the line ‘we protested with the Minister over the beef situation’, yet it will continue to allow the meat processors to collect a levy on its behalf. Meanwhile, it accuses the Minster for Agriculture, Food and the Marine of ‘sleep walking’ through the beef crisis. Yet, it is the IFA that is blind to the fact that it’s doing a massive disservice to beef farmers. It’s not up to the Minister to force the factories, or supermarkets, or anyone else for that matter, to pay a better price for beef. The IFA has the power through its membership levels and should be able to leverage this for its members’ benefit. The organisation has said it will stay outside the Minister’s office until it gets some answers. Answers to what? Why, as the largest farming organisation in the country, it can’t negotiate a better deal on behalf of its members? Meanwhile, we’ll see how long the IFA protest on Kildare St. will last.